Brief description: Luke – Jesus the Christ is the saviour of all people. The name Luke (Λουκᾶς, Loukás) is apparently an abbreviation for Λουκανός, Loukanós, meaning “light-giving” or “luminous”. The word gospel is derived from the Anglo-Saxon word which meant “God’s spell”, or “God’s word”, ie “the story concerning God.” In the New Testament the Greek word euaggelion, means “good news.” It proclaims tidings of deliverance. Luke wrote a Gospel to a Christian community whose own beliefs were not unified. What place did Gentiles, outcasts & women have in the church? What role did the Holy Spirit play? What missionary challenge had Jesus in relationship to Judaism & in relation to the Roman Empire? What was the kingdom of God? Luke wanted his readers to understand the full significance & implications of Christ’s gospel. 01) He is a servant. 02) He is the redeemer, fulfilling God’s purpose. 03) He reveals that God’s love is intended for all people. 04) He leads his followers to praise the Father in worship. 05) Jesus shows the central place of the home. 06) He prepares for, & points to, the importance & works of the Holy Spirit. 07) Jesus was a man of power. 08) He brings joy to his followers. The book of Luke was written to give a reliable and precise record of the history of Jesus Christ’s life. Luke spelled out his purpose for writing in the first four verses of chapter one. Not only as an historian, but also as a medical doctor, Luke paid great attention to detail, including dates and events that happened throughout the life of Christ. A theme that is emphasized in the Gospel of Luke is the humanity of Jesus Christ and his perfection as a human. Jesus was the perfect man who gave the perfect sacrifice for sin, therefore, providing the perfect Savior for humankind. Luke is the author of this Gospel. He is a Greek and the only Gentile Christian writer of the New Testament. The language of Luke reveals that he is an educated man. We learn in Colossians 4:14 that he is a physician. In this book Luke refers many times to sicknesses and diagnoses. Being a Greek and a doctor would explain his scientific and orderly approach to the book, giving great attention to detail in his accounts. Luke was a faithful friend and travel companion of Paul. He wrote the book of Acts as a sequel to the Gospel of Luke. Some discredit Luke’s Gospel because he was not one of the 12 disciples. However, Luke had access to historical records. He carefully researched and interviewed the disciples and others who were eyewitnesses to the life of Christ. The Gospel of Luke was written to Theophilus, meaning “the one who loves God.” Historians are not sure who this Theophilus (mentioned in Luke 1:3) was, although most likely, he was a Roman with an intense interest in the newly forming Christian religion. Luke may also have been writing in general to those who loved God. The book is written to the Gentiles as well, and all people everywhere. Luke wrote the Gospel in Rome or possibly in Caesarea. Settings in the book include Bethlehem, Jerusalem, Judea and Galilee. The predominant theme in the book of Luke is the perfect humanity of Jesus Christ. The Savior entered human history as the perfect man. He himself offered the perfect sacrifice for sin, therefore, providing the perfect Savior for humankind. Luke is careful to give a detailed and accurate record of his investigation so that readers can trust with certainty that Jesus is God. 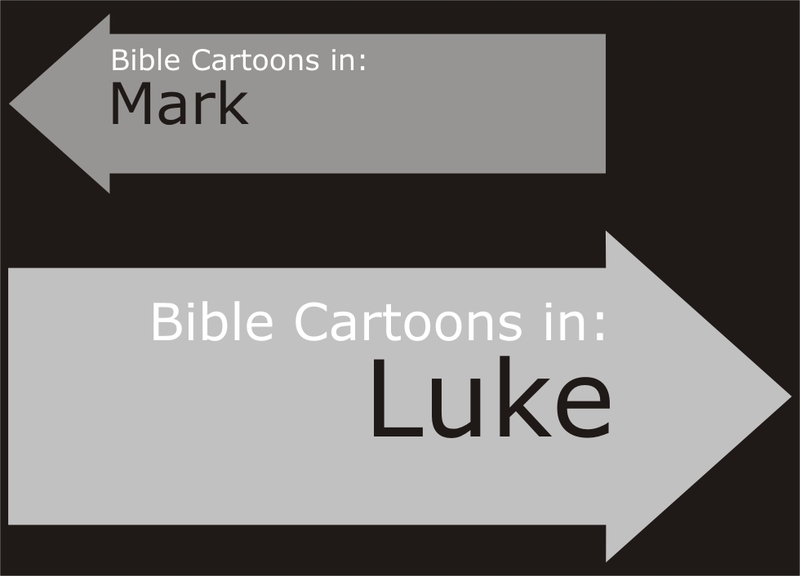 Luke also portrays Jesus’ profound interest in people and relationships. He was compassionate to the poor, the sick, the hurting and the sinful. He loved and embraced everyone. Our God became flesh to identify with us, and to show us his genuine love. Only this perfect love can satisfy our deepest need. Luke’s Gospel gives special emphasis to prayer, miracles and angels as well. Interesting to note, women are given an important place in Luke’s writings. Zechariah ”Jehovah is renowned or remembered”. Husband of Elizabeth. Father of John the Baptist. Descendant of Aaron. Priest who belonged to the division of Abijah (Luke 1:5). Temporarily struck dumb whilst burning incense in the Temple of the Lord (Jerusalem) by the angel Gabriel for unbelief. Elizabeth Ἐλισάβετ, Elisábet, Ἐλεισάβετ, Eleisábet, from Hebrew ʾĕlīshebhaʿ (Elisheba), “God is (my) oath,” i.e. a worshipper of God. Wife of Zechariah & mother of John the Baptist. Descendant of Aaron. Barren until the Lord God opened her womb & she conceived John the Baptist. “kinswoman” (cousin?) of Mary, mother of Jesus. Mary (mother of Jesus) Greek. Maria or Mariam; from Hebrew miryam, “obstinacy, rebellion”. Young virgin mother of Jesus. Impregnated by the Holy Spirit. One of the only people who remained with Jesus through the crucifixion. John the Baptist Jon; Greek ’Ioannes; from Hebrew Yôhanan, “Jehovah is gracious”. Son of Zechariah & Elizabeth. The forerunner to Jesus, spreading the word of Jesus’s imminent arrival. Lived in the desert, baptising people in the Jordan river. Ate locusts and honey. Apostle/disciple Greek ἀπόστολος, apóstolos, literally, “one sent forth,” an envoy, missionary, delegate. Greek ággelos is a messenger, as distinct from Greek apóstolos, who was not a mere messenger, but a delegate or representative of the person who sent him, ie Jesus the Christ. Disciple – a student of a teacher. Greek μαθητής, mathētés, “a learner,” from manthánō, “to learn”; Latin discipulus, “a scholar”): The word is found in the Bible only in the Gospels and Acts. Andrew ”Manly, masculine”. Son of John (or Jonah or Jona), brother of Simon Peter. Born in the village of Bethsaida on the Sea of Galilee. Fisherman. Originally a disciple of John the Baptist, before Jesus called him. Present on some important occasions as one of the disciples more closely befriended by Jesus. James Jacobus (ja-ko´bus; Greek Iakobos—Jacob). (aka James the Greater or James the Great to distinguish him from James, son of Alphaeus). Son of Zebedee (& Salome? ), elder brother of John. Together with his brother John called Boanerges “The sons of thunder” by Jesus. Fisherman. One of only three apostles whom Jesus selected to bear witness to his Transfiguration. “Herod the king” (identified as Herod Agrippa) had James executed by sword (Acts 12); thus first apostle martyred for the faith. Philip “Lover of horses”. One of the twelve apostles; a native of Bethsaida, Galilee. Readily responded to the call of Jesus (John 1:43), and brought Nathanael to Jesus (John 1:45-46). Prominent amongst the apostles. Bartholomew ”Son of Tolmai”. One of the twelve apostles (Matthew 10:3; Acts 1:13). Generally supposed to have been the same person as Nathanael. One of the disciples who saw Jesus at the Sea of Tiberias after his resurrection (John 21:2). He also witnessed Jesus’ Ascension (Acts 1:4, 12-13). Thomas Greek form of Aramaic Ta’oma’ = “Twin”. Also called Didymus (John 11:16; John 20:24), which is the Greek equivalent of the Hebrew name. One of the twelve apostles (Matthew 10:3, Mark 3:18). All we know about him is from John’s Gospel. Matthew “Gift of God”. Son of Alphaeus. Tax collector. Among the early followers and apostles of Jesus. Thought to be the author of Gospel of Matthew. James Jacobus (ja-ko´bus; Greek Iakobos—Jacob). (aka “The Less”, to distinguish him from James, son of Zebedee). Son of Alphaeus (aka Cleopas). “The brother” or near kinsman/ cousin of Jesus (Galatians 1:18-19). Possibly called James “the Less,” or “the Little,” probably because he was short in stature. He met separately with Jesus after his resurrection (1 Corinthians 15:7). He appears to have occupied the position of head of the Church at Jerusalem, where he presided at the council held to consider the case of the Gentiles (Acts 12:17; Acts 15:13-29:21:18-24). Author of the epistle of James. Thaddaeus “Breast”. One of the 12 apostles. Referred to as “Judas the brother of James” (Luke 6:16 & John 14:22), probably referring to the same person, speaks of “Judas, not Iscariot.” These different names all designate the same person: Jude or Judas, the author of the epistle. Simon “Harkening” or “Listening” (aka Simon Zelotes, Simon the Zealot, Simon Kananaios or Simon Cananeus). One of the 12 apostles. Called “Zelotes” or “Zealot” (Luke 6:15; Acts 1:13) because previous to his call to the apostleship he had been a member of the fanatical sect of the Zealots. There is no further information regarding him. Judas Iscariot Judas is Greek for Judah. Son of Simon (John 6:71; John 13:2, 26), surnamed Iscariot, which means “a man of Kerioth Hezron (aka Hazor)” (Joshua 15:25). Betrayer of Jesus to Jewish authorities (John 18:3). “Jesus knew from the beginning who should betray him” (John 6:64). Hanged himself after that deed (Matthew 27:5). His name is uniformly the last in the list of the apostles, as given in the synoptic (i.e., the first three) Gospels. Mary Magdalene Greek. Maria or Mariam; from Hebrew miryam, “obstinacy, rebellion”. (aka Mary of Magdala). Disciple & close friend of Jesus after her exorcises seven demons out of her (Luke 8:2) during his Galilean ministry. One of the women who discover that Jesus’s body is not in the tomb. Witnessed the resurrected Jesus. Herod, the Great Father of Herod Antipas. Ruled as “king” of Judea, from 37 BC to 4 BC. The son of Antipater (Matthew 2:1-22; Luke 1:5; Acts 23:35), an Idumaean, and Cypros, an Arabian of noble descent. Infamous for killing all the baby boys in Bethlehem 2 years old & younger (Matthew 2:16). Rebuilt & extended the ruined Temple of the Lord in Jerusalem. Pontius Pilate Prefect, Roman governor of Judea during the time of Jesus’s trial in Jerusalem. Pilate sentenced Jesus to death by crucifixion.